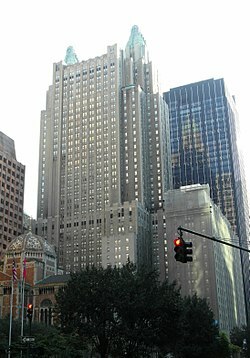 アメリカ合衆国 301 Park Avenue, New York, N.Y.
^ Morehouse III, Ward (1991). The Waldorf Astoria: America's Gilded Dream. p. 147. Xlibris, Corp. ISBN 978-1413465044.